Are your concrete surfaces starting to show signs of age with pitting, cracking and/or widespread damage? Has their condition started detracting from the positive image your brand aspires to convey? Even worse, have they become a safety concern for employees or pedestrians using them? Don’t go through the time and expense of having them torn out and replaced. Consider the benefits of epoxy-mortar overlay systems. Stronger than concrete: Standard concrete typically measures around 4,000-5,000 psi. With epoxy-based materials, you can expect a stronger, more durable product. The epoxy-mortar systems from Simon Surfaces harden and cure at two-to-three times stronger than standard concrete! Minimal downtime: When standard concrete is poured, it can take seven to 28 days to fully cure and reach its maximum strength. Epoxy materials cure usually in just 24 to 72 hours. The climate/temperature and thickness of the installed system play a role in that range. This allows for dramatically less if any, downtime. Protection against the elements: With epoxy-mortar repairs and overlays, your surface is better sealed. The risk of water, salt, and chemicals penetrating the sealed surface and causing further damage can be greatly reduced. In cold-weather climates, the benefits are even more apparent. 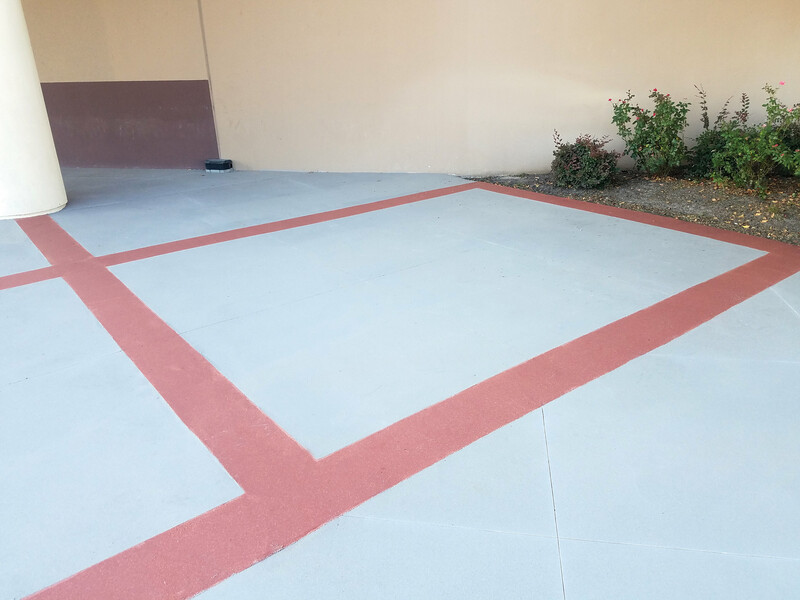 In short, epoxy-mortar overlay systems are the smart alternative to tearing out and replacing damaged concrete. They will not only outperform standard concrete, but they will be quicker to cure and easier to maintain as well. PreviousPrevious post:Put a freeze on winter firesNextNext post:Is the condition of your fuel islands affecting business?